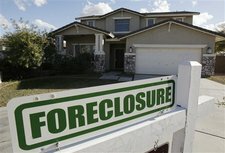 265,000 — Total foreclosures in Miami-Dade, Broward and Palm Beach counties since 2007. 23,348 — Total permanent South Florida mortgage modifications under the federal government’s Home Affordable Modification Program, HAMP. 48 — Percentage of homes worth less than the amount of the mortgage in Miami-Dade County. 10,000 — Mortgage counselors hired by Bank of America in 2010. 600 — Average number of days it takes to complete a foreclosure in Florida. 174,000 — Property tax appeals filed by South Florida homeowners in 2009. 109,496 — Pending foreclosure cases stuck somewhere in South Florida’s court system. 10,000 — Foreclosure affidavits signed each month by GMAC employee Jeffrey Stephan, the first bank employee exposed as a so-called robo-signer. $9.6 million — Amount granted by the Florida Legislature last year to help close out 347,000 foreclosure cases from its backlog in 12 months. 200 — Foreclosure cases Miami-Dade courts would need to dispose of per day to meet the Legislature’s goal. Everyone has been left scrambling to find solutions to the real estate collapse. Major lenders, local governments and county courts have spent the last three years trying to deal with the fallout from the housing crisis. Each institution quickly found out it was unprepared and undermanned to handle the crisis, and most have been trying to play catchup ever since. In this difficult climate, it is imperative that you assess your rights and options. The current real estate market, and ongoing foreclosure crises, presents all sorts of issues that must be properly navigated. Our Miami foreclosure defense lawyers have assisted many parties in buying enough time to reach the solution that is right for them. There are many alternatives to foreclosure, and often times it just takes proper planning to properly navigate against the potential pitfalls. Help is often available to those who seek it.